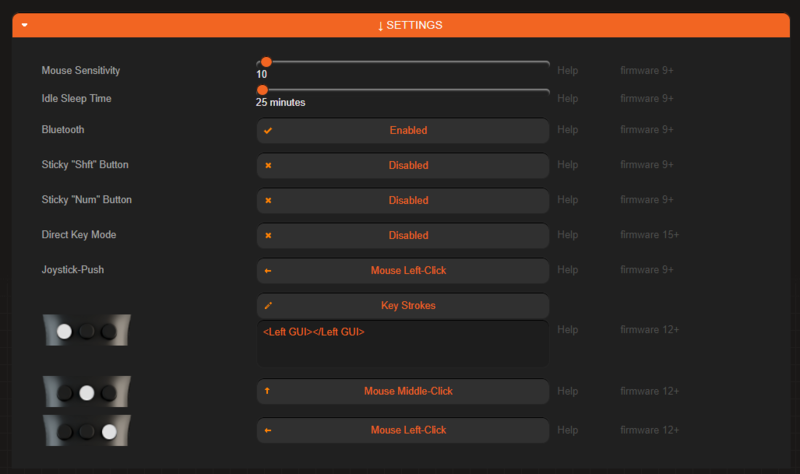 How to send gui key using new firmware? Is there any docs on using some of the new firmware features, specifically the ability to send modifiers (e.g. GUI key) without a keycode? I am still not clear on the format / command to enter in the settings in v5. I would really appreciate clear information/solutions on this.